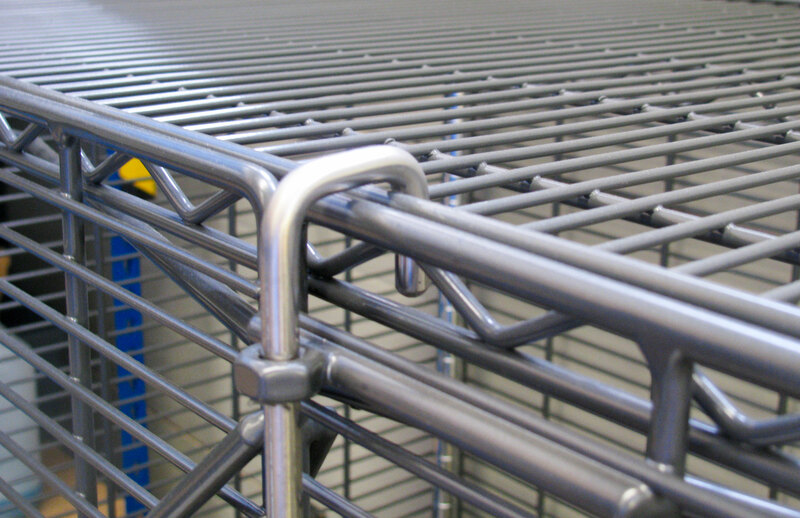 multiply the number of accessories entered. 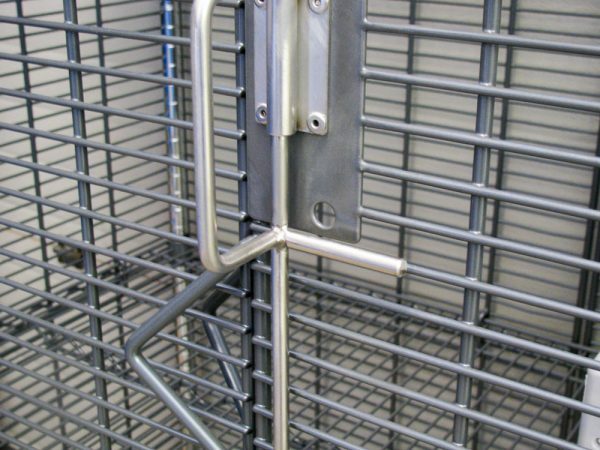 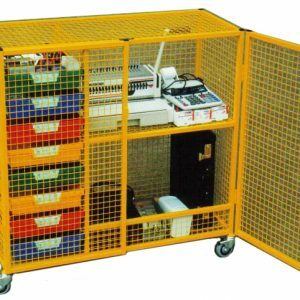 Our security cages are specially designed for the catering and food industries, ideal for use in a coldroom, drystore or freezer environments, and are available as either mobile or static units. 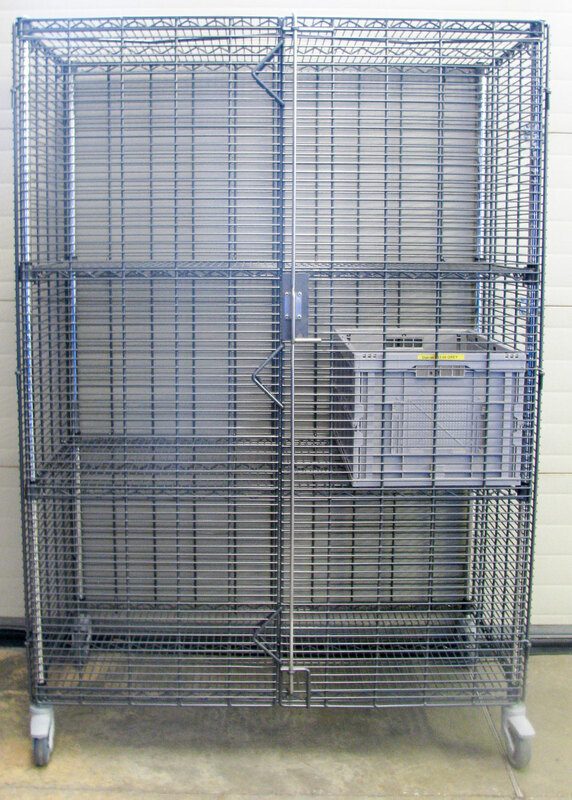 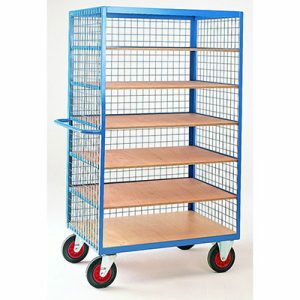 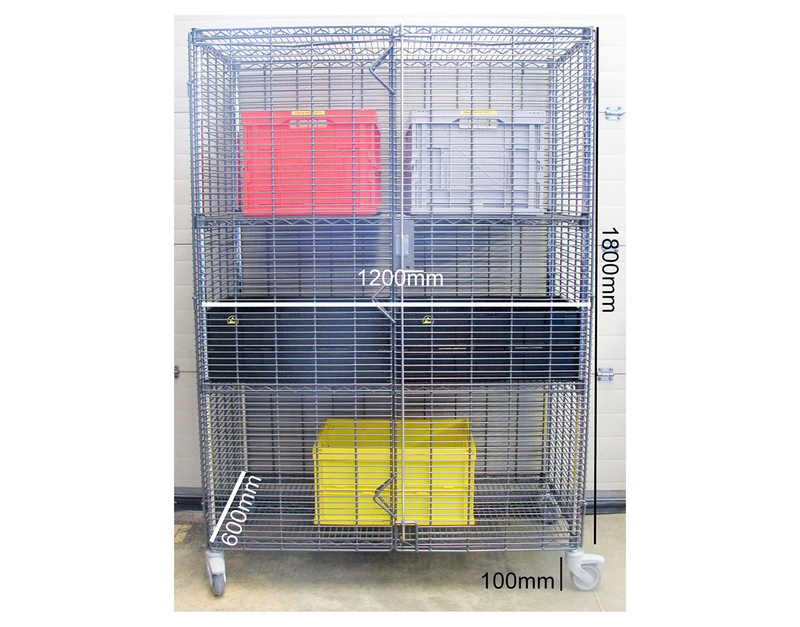 Finished with a Nylon coating, each shelf has an impressive 250KG UDL limit when freestanding, and if mobile usage is required then there is a 300kg limit per bay. 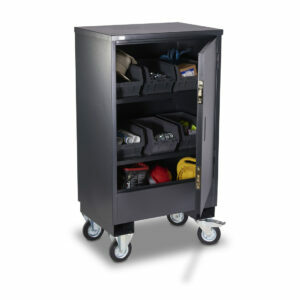 Hinged doors are offered as standard, with concertina option offered if space is limited. 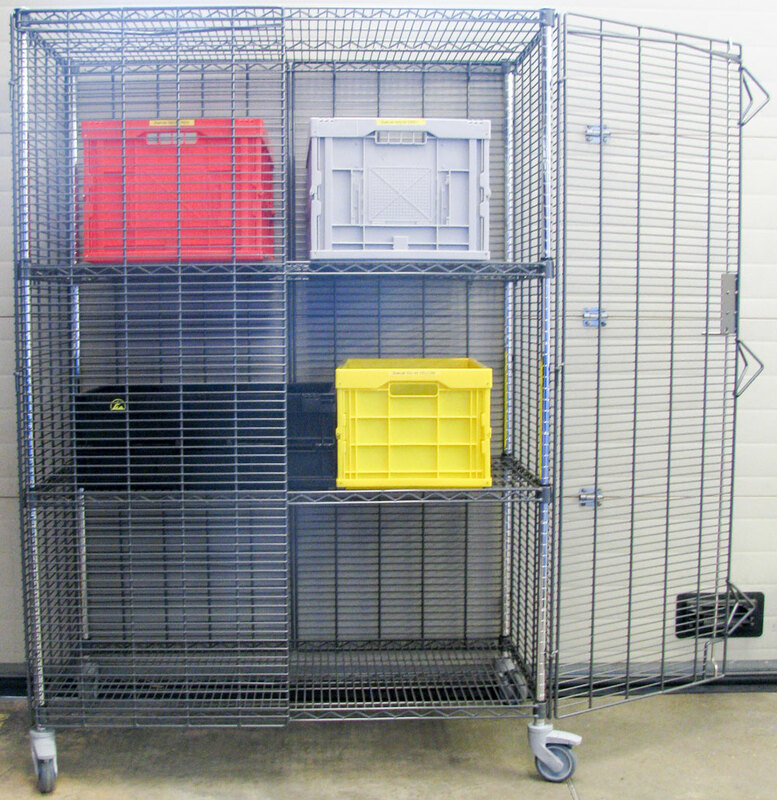 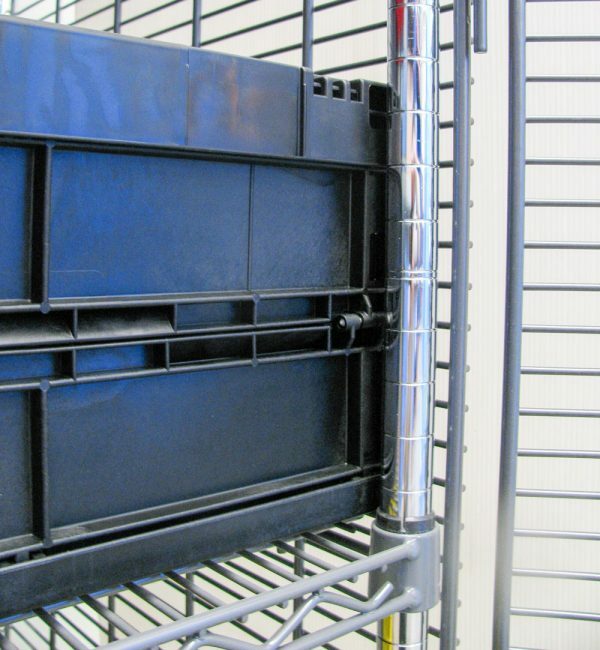 An open mesh grid design provides free air flow, ensuring products are kept evenly chilled, and allows for easy stock identification. A stainless steel version is also available. 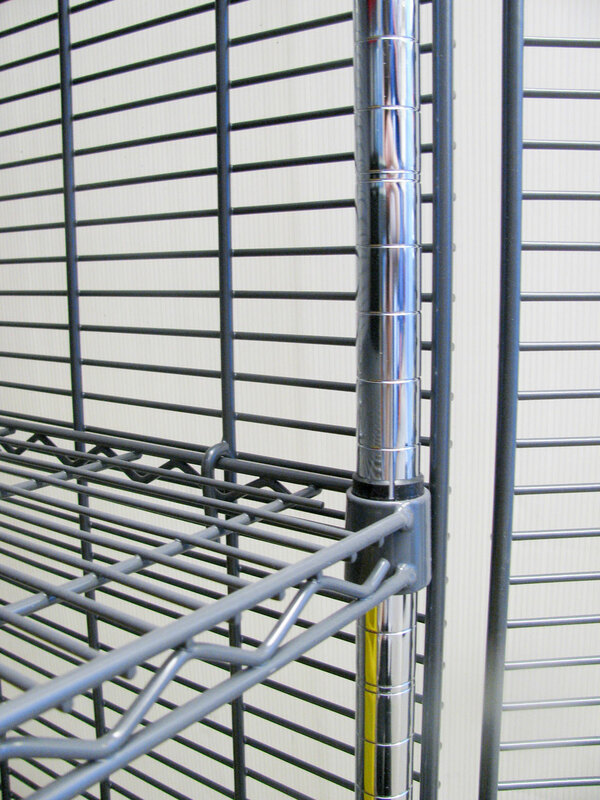 Chrome posts supplied as standard. 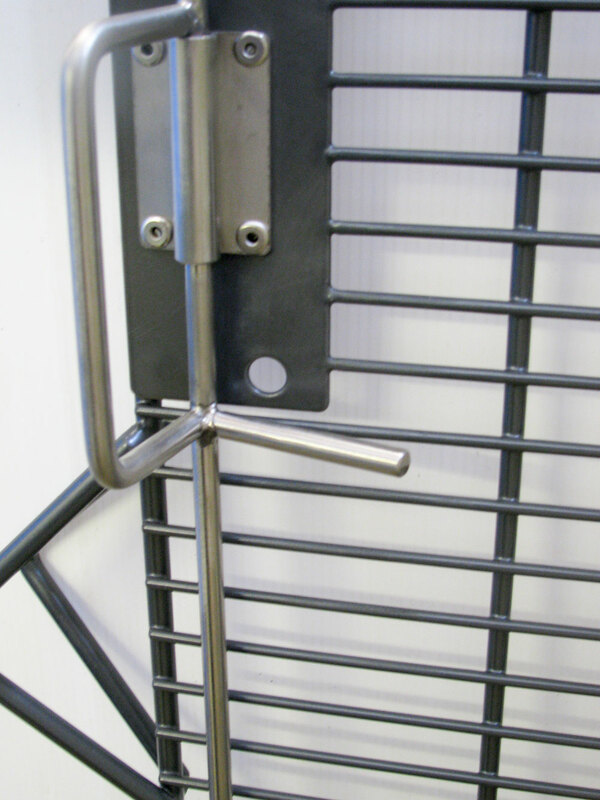 Please contact our sales office if you require stainless steel posts.